I love Lush and I used to buy a lot of their products. Over the years I’ve become a lot more selective with my skin care though and at the moment they are only two or three of their products that I will repurchase on a regular basis. 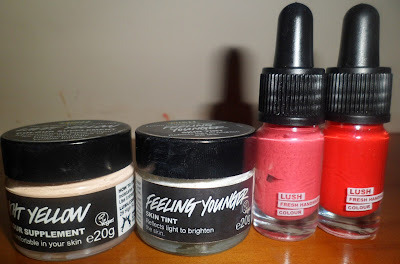 When Lush launched their new colour cosmetics line Emotional Brilliance, I really got excited again about their products. The concept of Emotional Brilliance is for your makeup colour to correspond and reinforce your state of mind, as opposed to simply following trends or tendencies. At my last visit in Lush store, I just couldn't resist the temptation and got bit overboard and ended up buying the Colour Supplement, Feeling Younger illuminating skin tint and two Liquid Lipsticks. I bought the light yellow and it fits me to a tee. It goes on sheer and really evens out my skin tone, and I ended up with beautiful naturally glowing skin . Light Yellow colour is also great for hiding blemishes and dark circles, as the yellow neutralizes red or dark tones. The texture of the supplement is quite rich and creamy, comparable with a cream foundation. and dry patches may be highlighted after a while. Colour supplement is packaged in glass and not really sanitary but the size is perfect for travelling. Cost in Ireland €17.95 for 20g. Feeling Younger illuminating skin tint can be used as primers under your foundation or they can be mixed into a moisturizer or with their color supplements. You can also use it just a highlighter and apply to spots that you wish to accentuate. I also picked two liquid lipsticks in shades Believe and Ambition. can be also mixed with lip balm or cream to blend down. They will also soften the lips and are super motorizing. The bottle is really cute and is made of recyclable glass. Believe is a light fuchsia red based lipstick and I absolutely love it as a blusher, it looks like a natural flush on me. 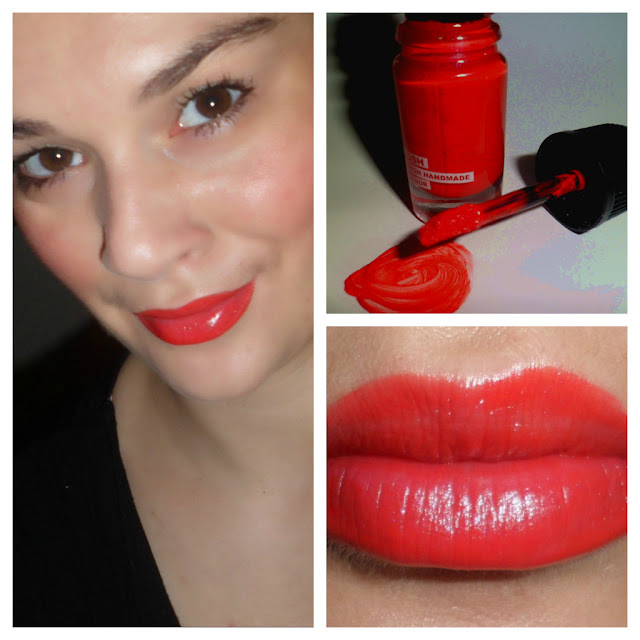 Ambition is a classy bright red, and also gives a healthy flush to the cheeks. Cost in Ireland €17.95 for 5g bottle. Have you tried any products from the new Lush's Emotional Brilliance cosmetic line? fantastic Marina! love them, and also the make up you have made! kisses! 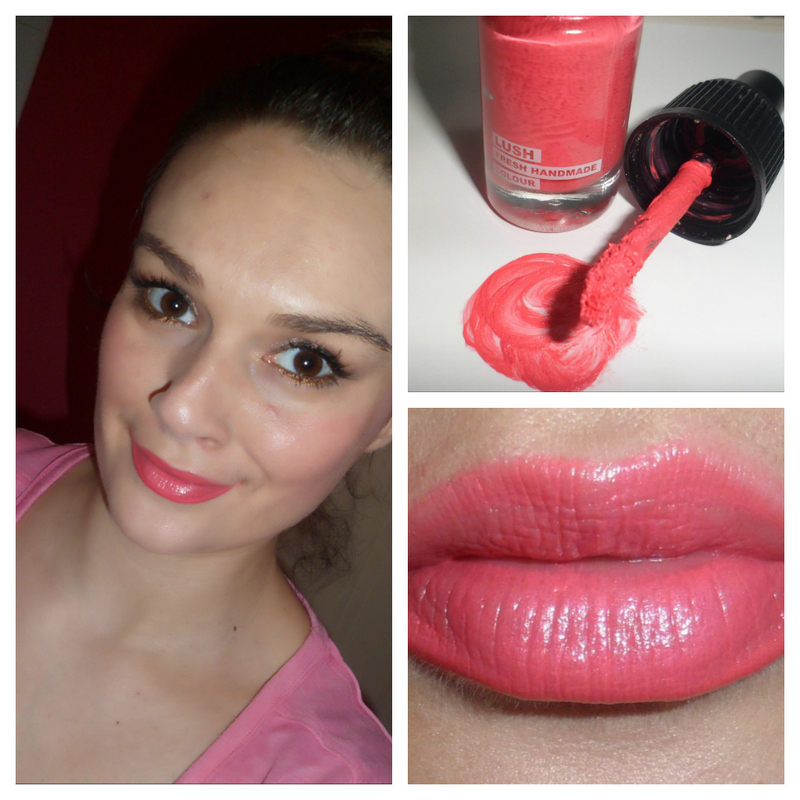 Make up with Liquid Lipstick in Ambition is so great! You're so beautiful!